You will be picked up at 05:00 hrs in the morning from your desired place by your skilled driver in a luxury car and will be dropped at New Delhi Railway Station from where you can board Shatabdi Express (Air-conditioned train) that will leave from Delhi at 06:15 hrs. There is an alternate option as well for those who wish to experience luxury on-board. You can board Gatimaan Express (Semi-luxury train) from Hazrat Nizamuddin Railway Station. The train leaves the station at 8:10 hrs and reaches Agra Cantt. at 9:50 hrs. Enjoy your breakfast on-board followed by tea or coffee. On reaching Agra Cantt. Railway Station at 08:12 hrs, you will be met by our Agra representative. 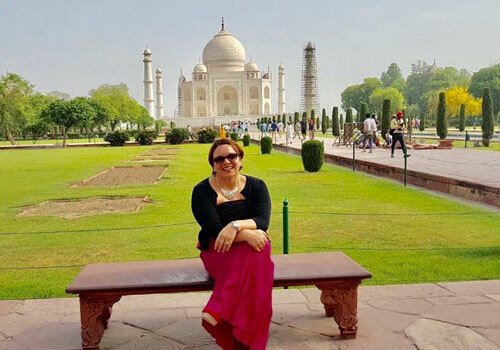 He will introduce you to the guide, who will accompany you to visit the iconic marble monument Taj Mahal. 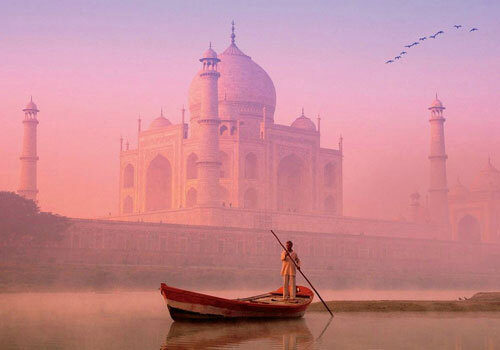 At 08:45 hrs in the morning, you will be at the glorious Taj Mahal, which is an epitome of love. It is one of the Seven Wonders of the World. 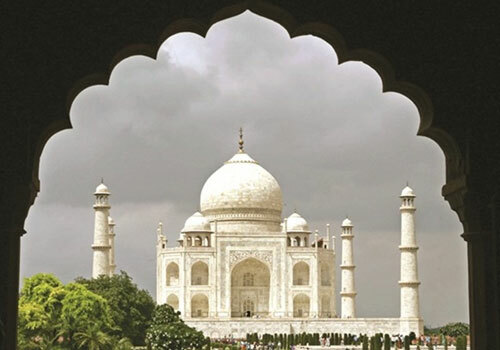 Around 22,000 laborers were engaged to build this magnificent structure. It is one of the major tourist spots in India that draws tourists from every corner of the world every year. Explore each and every aspect of this finest monument in your own way with ease. After exploring the Taj to your hearts’ content, proceed towards Agra Fort located nearby. You will be at the Agra Fort by 11:00 hrs. This Fort made of red sandstone and standing alongside the River Yamuna was built by Emperor Akbar in 1566. Shah Jahan’s son Aurangeb imprisoned him during the last eight years of his life in this Fort; where from he could watch the tomb of his wife. Then you can visit the Pearl Mosque famous as Moti Masjid at the fort itself. By 12:00 hrs, you will go to visit a Marble factory to see and admire the unique inlay work (engraving precious and semi precious stones into marble) of marble. Have a Buffet Lunch at 13:00 hrs in one of the finest restaurants of the city. At 14:00 hrs you will proceed towards Fatehpur Sikri and will be there after an hour. This secluded city built by Emperor Akbar in the year 1569, is also known as Ghost City. There is lack of water that made the city deserted. Start your drive back to Agra at 17:00 hrs. You will be back in the Agra city at 18:00 hrs, where you will go for shopping in the local market. You will begin for Agra Cantt. Railway Station at 20:15 hrs from there you will board the Shatabdi Express to get back to Delhi. If traveling by the Gatimaan Express, you will leave at 17:50 hrs from Agra and will reach Hazrat Nizamuddin railway station at 19:30 hrs [the timings of sightseeing will also differ if traveled through Gatimaan Express. You need to put a request to know the details]. At 20:30 hrs you will be served hot dinner on board. 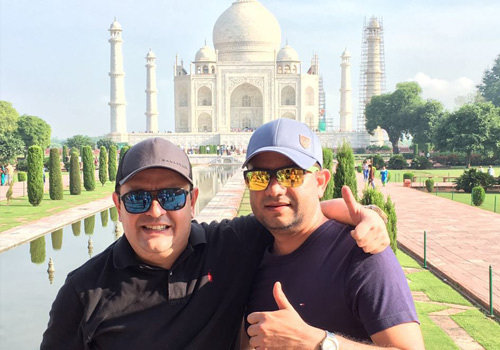 You will be back to Delhi at 22:30 hrs, where our Tour Representative will meet you and will drop you off at your pre-booked hotel or New Delhi Railway Station or Airport as per your wish and plan. 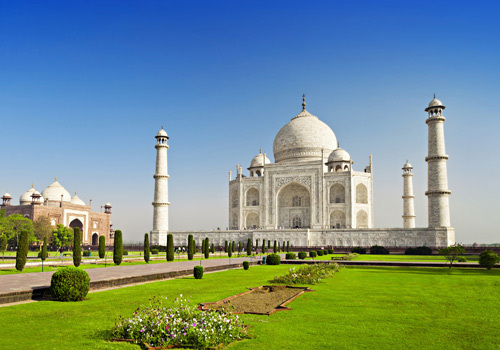 We ensure you a cherished same day Taj Mahal tour that will linger in your mind for years after you have left India. Any kind of personal expenses or optional tour/ extra tour ordered. Any thing not specifically mention under the head “price include”. 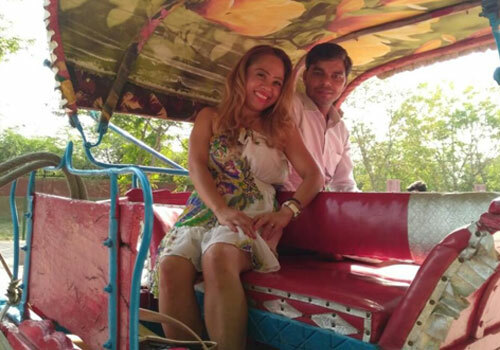 The services of vehicle is not included on leisure days after finishing the sight seeing as per the itinerary.